Wednesday – Buffalo chicken sandwiches with roasted potatoes and veggies. 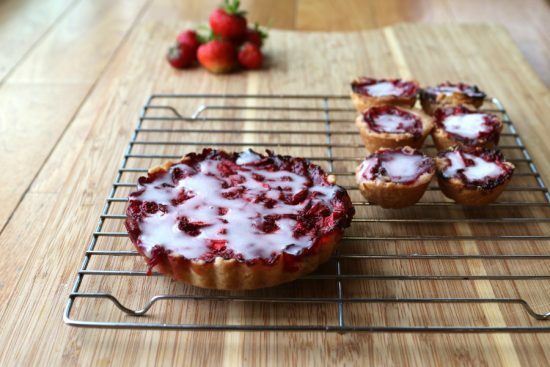 How did I end up making such a wonderful homemade strawberry tart? Let’s start with a little backstory. Last year we planted some strawberry plants in our garden. I think we got about 3 strawberries before the birds discovered them and despite the elaborate fence-like contraption that I built to cover the strawberries, we did not get many for us to eat. This year, after some research, we picked up some inexpensive bird netting and saw much better results. The birds were able to pick at a few berries along the edges, but the vast majority of our berries were safe. From the birds, at least. Over the last few years, we have managed to ruin trips to almost any restaurant by coming home and using their food as inspiration to make it better (and cheaper) at home. What we are left with is an ever shrinking list of places to go out to eat. Recently, we went out for sliders and tried fried avocado slices as an appetizer. Everyone was blown away. The next logical step was to try it ourselves at home. 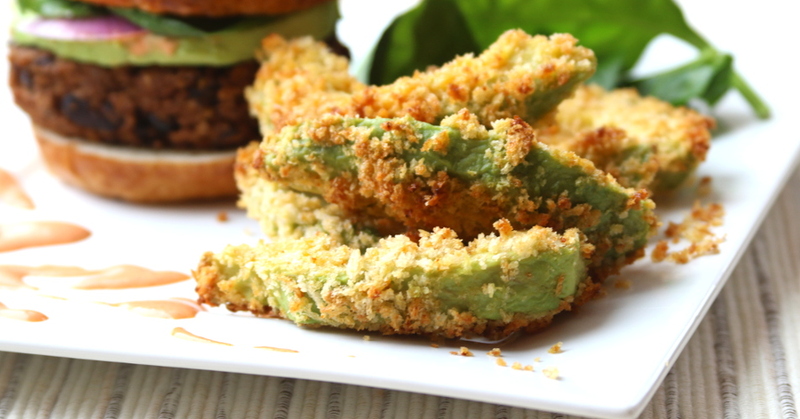 We ended up with these baked avocado fries. They taste just as good (hubby says they taste better) and should be healthier because they are baked, not fried. I messed up. I am usually the first to admit it when I make a mistake and tonight’s meal is the result of my goof up Monday night. When I made ground chicken pot stickers I didn’t notice the package of ground chicken sitting in the fridge and used our mini chopper to grind up thin cut chicken breast instead. How am I supposed to make the chicken noodle soup that my little one had specifically requested for a meal this week? Improvise, that’s how. 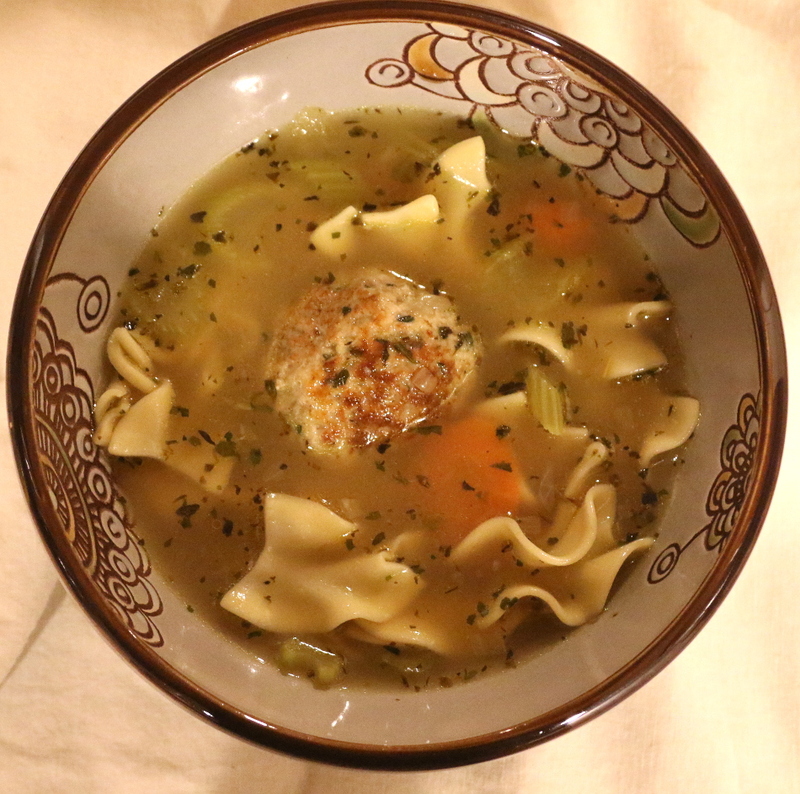 I kind of winged it and ended up with chicken meatball noodle soup. I have to admit that it turned out pretty well. We have been on a pretty good Asian food kick for the past week or so, for example, last Friday was sweet and sour chicken! 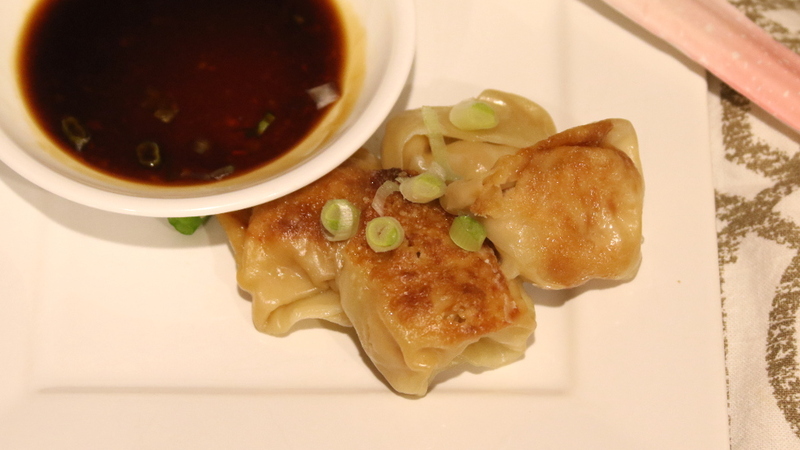 Tonight we had ground chicken pot stickers with a tasty spicy chili/soy dipping sauce. I thought my better half had left me a recipe to make dinner when I got home, but I could not find it. I decided to try to wing it. I know that she had bought green onions for the meal, so I started by chopping up two of those. minced ginger and of course garlic would need to find there way in there as well as some mirin, sesame oil and soy sauce. Things might have gotten a little out of hand with the soy sauce so I put in some honey to balance that out. added in my ground chicken and gave it a good mix and started forming the ground chicken pot stickers. Winters in Upstate NY have a tendency to be cold. So far this year we have not had much in the way of extreme cold or snowy weather, but it still get me in the winter eating frame of mind. 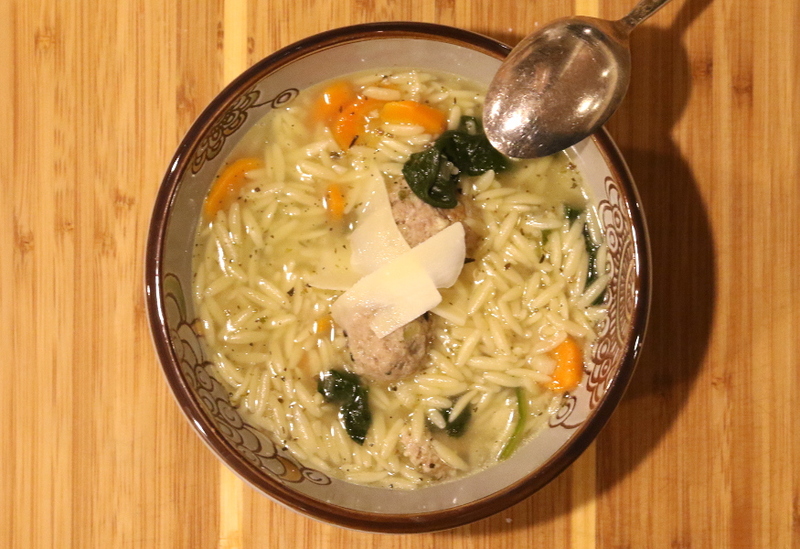 When its cold like this, I am looking for comfort foods combat the cold and an Italian Wedding soup recipe always does the trick. Cooking from scratch can sometimes be a challenge when you are in a rush. During the week when we need to be running kids in different directions it can sometimes be difficult to get a good meal on the table and still get to practice on time. 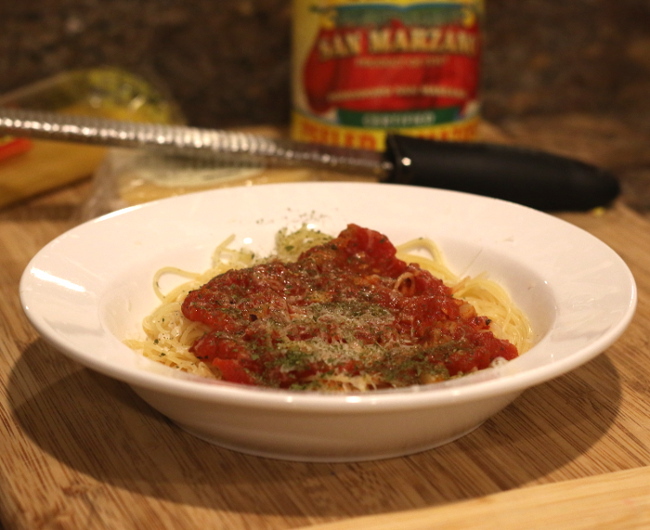 We started making a quick San Marzano tomato sauce with this mind. This is a recipe that we have been making for years but have not written up for the site. I was inspired to share it tonight as the sauce is simmering on the stove.